The Gabba gang teams up to save the day in this superhero-themed Pre-Level 1 Ready-to-Read story. Everyone in Gabba Land wants to be a superhero! Superheroes have superpowers and super names! The Gabba gang plays a game where each friend chooses an imaginary superpower. Plex wants to fly really high, Toodee wants to be super strong, Foofa wants to make plants dance, Brobee wants arms that stretch across Gabba Land, and Muno wants to run really fast! What’s better than one superhero? Five superheroes! The gang decides to join forces and become a team of superheroes: The Super Gabba Friends! 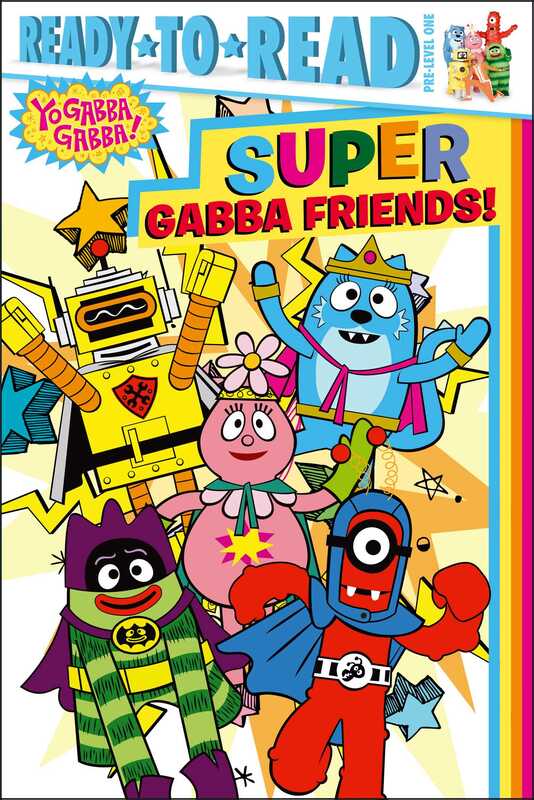 Book Cover Image (jpg): Super Gabba Friends!